Offering you a complete choice of products which include laser screed and stand on laser screed. TOPALL IMPEX is coming up with a new trend in industrial flooring The Laser Screed. 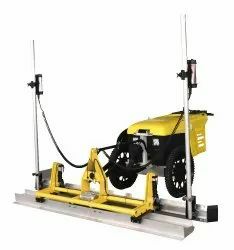 Where huge areas of flooring is to be done this machine is used to do the flooring of maximum slab thickness 15 cm. Recommended speed is 5 m/min thus you can expect to cover 1800 m in a working period of 8 hours. . 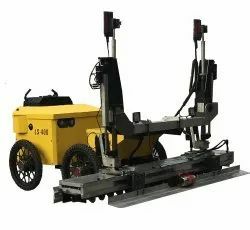 The operator has a control panel installed in front to inspect the result of floor easily. The Laser Screed can satisfy the construction requirement of large area and high plainness and levelness. It can Cover 2500sq-3000sq meter area per day with the accutate leveling. Packaging Details: proper packing will be taken care of. Packing will be done in a wooden box.